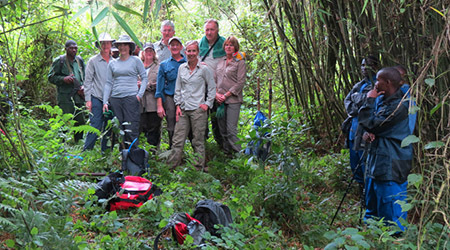 The 11 days Rwanda wildlife tour Uganda gorilla trekking safari is an 11 days wildlife and gorilla trekking safari in Uganda, a hike and descend to Mount Nyiragongo in Congo and a game drive and boat cruise in Rwanda. 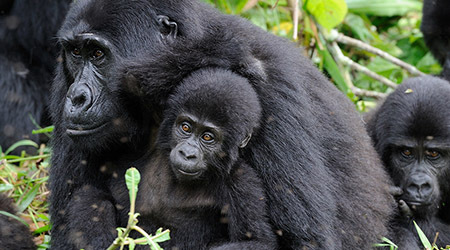 With arrival in Uganda, the trip features a game drive at Lake Mburo National Park and gorilla trekking at Bwindi impenetrable National Park in Uganda. In Congo you go for a hiking tour to Mount Nyiragongo in Virunga National Park then after continue for adventure at Lake Kivu in Rwanda before departure at Kigali international airport. Upon arrival at Entebbe international airport, you meet a safari driver guide who ensures your transfer to Lake Mburo National Park where you spend the night at a close accommodation. The next morning, you go for a morning game drive at lake Mburo Park then after be driven to Bwindi impenetrable national park. Arriving in the evening, you spend the night at an accommodation in Bwindi impenetrable national park as you plan for a Uganda gorilla trekking safari experience the next day. After breakfast on day 5, you have breakfast then go for Batwa cultural experience before transfer to Queen Elizabeth National Park arriving in the evening. The next morning you undertake a morning game drive then after have an evening boat cruise on the 45km long kazinga channel. On morning of day 7, you have breakfast then be driven out of Uganda to Virunga national park in Congo where you spend the night at a close accommodation for a hike and descend to Mount Nyiragongo on the next 2 days. After the descend, you relax at the shores of Lake Kivu, take a Kigali city tour the next day before departure at Kigali international airport. Day 1: On arrival at Entebbe international airport, a knowledgeable driver guide transfers you to Lake Mburo National Park. Day 2: In the morning, you go for an early morning game drive at Lake Mburo National Park then after continue to Bwindi impenetrable national park arriving in the evening and spending the night at a close accommodation to the park. Day 3: After breakfast, your driver guide will pick you up for a transfer to Bwindi impenetrable national park with a stop at the equator. 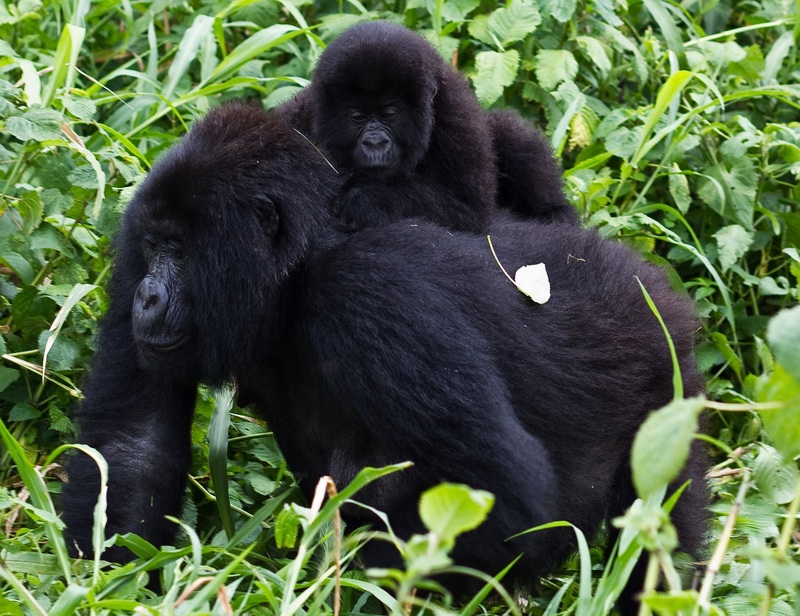 Day 4: Before 8:00am, you are driven to Buhoma gorilla trekking sector of Bwindi for gorilla trekking that lasts about 2-8hours. Day 5: Early morning, you have breakfast then experience the Batwa culture in the Buhoma sector of Bwindi where after you are driven to Queen Elizabeth National Park. Day 6: You undertake a morning game drive then after undertake an evening boat cruise along the Kazinga channel that joins lakes Edward and George. Day 7: In the morning, you have breakfast then after be transferred to the Democratic Republic of Congo in the afternoon. Day 8: After breakfast, you hike Mount Nyiragongo in Virunga national park and spend the night at the mountain summit. Day 9: You descend from Mount Nyiragongo and rest for the other whole of the day at your lodging facility. Day 10: Early morning you have breakfast then be driven to Lake Kivu in Rwanda where you relax at the shores of this pristine lake. Day 11: After a relaxed breakfast, you are driven for a Kigali city tour then to Kigali international airport for a departure flight. On arrival at Entebbe international airport which is Uganda’s national airport, a professional driver guide will be there to welcome you to Uganda and take you through your safari. 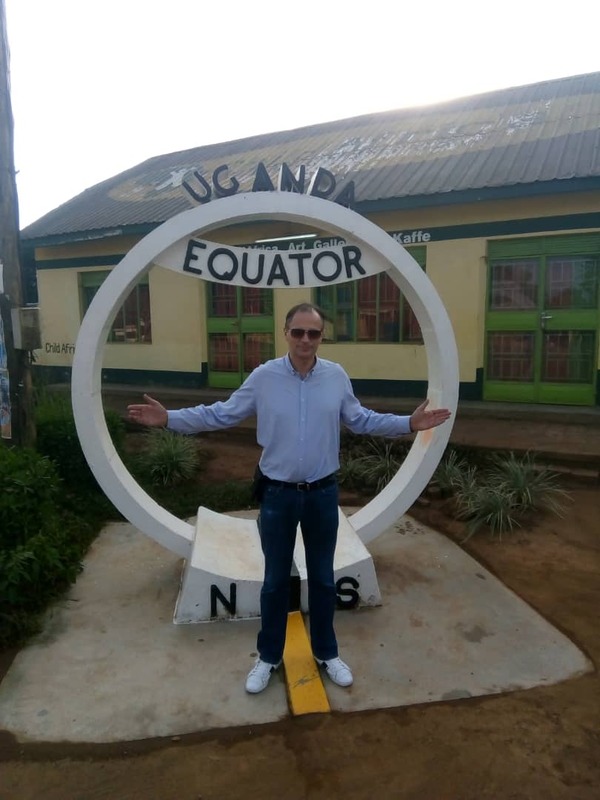 After your Uganda-Congo-Rwanda safari briefing, you are driven to Lake Mburo National park in western Uganda with a stop at the zero-latitude line (equator). Arriving in the evening, you check in, have dinner and relax at a booked accommodation in Lake Mburo National Park. Early morning, you have a hot cup of coffee then go for a morning game drive in this famously known as the whispers of the wild park. Sighting the early risers, you have a chance to sight animals like the Elephants, Kobs, antelopes and many more. 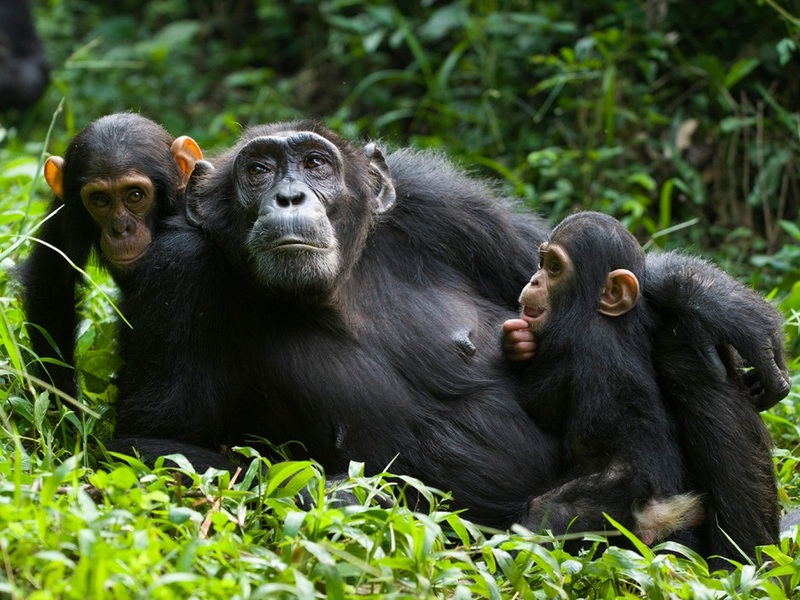 After about 2-4hours game drive, you are driven to Bwindi impenetrable national park. You have lunch en route in Mbarara and then continue for dinner and an overnight at a close accommodation in Bwindi impenetrable national park. After breakfast in your beautiful lodging facility, you will be driven to Buhoma gorilla trekking sector of Bwindi for your Uganda gorilla trekking tour experience. Briefing and gorilla family allocation starts at 8:00am with the park rangers who will go with you to the jungle for about 2-8hours in search of the mountain gorillas. 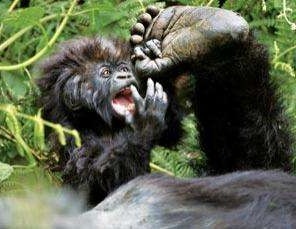 You will trek alongside 7 other trekkers on gorilla trekking safaris in Uganda. After spending 1 hour in the presence of the gentle giants you will return to the park headquarters where you will meet your driver guide who will drive you to your lodging facility for relaxation, dinner and an overnight. From your lodging facility in Bwindi, you have breakfast then after go for a Batwa cultural tour among the Batwa in Buhoma. The experience depending on your preference can last from 1-4 hours as the former inhabitants of the Bwindi impenetrable national park demonstrate to you their previous lifestyle. This include, dancing, hunting skills, construction and all other aspects of their daily life within the jungle that they called home. After the experience, you are driven to Queen Elizabeth National Park arriving in the evening for check in, dinner and an overnight stay at an accommodation in Queen Elizabeth National Park. Early morning, you have a cup of coffee then after be driven for a morning game drive at Queen Elizabeth National lasting about 2-4hours as you spot several wildlife species. Here you possibly sight lions, elephants, leopards, kobs and many other wild species including bird species. In the afternoon after lunch, you go for a launch trip/boat cruise on the 45km long channel that joins lakes Edward and George and home to Africa’s largest concentration of hippopotamuses. After a bout 2 hours on the boat, you take a mini en route evening game drive to your lodging facility where you spend the night. This morning, you have a relaxed breakfast (the last in Uganda) then bid farewell to Uganda as you are driven to Virunga national park in Congo. Using a 4×4 safari vehicle, your driver guide will ensure you cross the border and get into Congo. Arriving in the evening, you check in, have dinner and relax at an accommodation in Virunga National Park. Early morning after breakfast, your driver guide will transfer you to Kibat station where the hike to the summit of one of the world’s most active stratovolcanoes. The hike to the summit usually takes about 6 hours depending on your energy levels. Also known as the “braves cake”, the hike is an amazing adventure past beautiful flora and fauna species to the lava lakes. During the hike you will be helped with luggage carrying and cooking at the summit by porters who can be hired at the park headquarters. The night is spent at the summit cabins as you take memorable pictures and watching the beautiful lava lake at sunrise. You descend from the summit of Mount Nyiragongo early morning after breakfast along with porters helping with the luggage till the park headquarters in Kibat. Your driver guide will be there waiting for you at the station and transfer you back to your lodging facility where you will have a meal, relax and rest for the rest of the day. From Congo, you are driven by your safari guide crossing the Congo-Rwanda border to Lake Kivu. You relax at the shores of this pristine lake where you spend the night at the luxurious Lake Kivu Serena Hotel. After relaxed breakfast at your lodging facility, you will embark on a road trip back to Kigali international airport for your departure flight. When you arrive in Kigali you can visit some craft shops for craft purchase before the driver takes you to the airport for departure.